Hmm, I see. So if you use Ally Support to establish a bond between two allies, it’ll increase their stats! I had no idea! That’s right! As long as you send them into battle together and keep them close to each other, they’ll have an easier time in combat. But you can only support one ally at a time, right? I wanted to support all of our allies! W-well… Put it this way. You can only have one support partner, true, but that doesn’t mean that we can’t support each other outside of battle, right? That’s what the Order is here for, after all! You’re prioritizing feelings over stats? Wow, I never thought I’d hear you say something so nice, Anna! Geez, I’m glad I could exceed your expectations. Ally Support is a special effect that you can set up between two allies of your choosing. When those two allies are close to each other on the map, their stats will improve in combat. The Support Rank of two allies who share a bond will increase as they do battle with enemies of level 35 or higher, as long as those allies are within two spaces of each other. However, if you break this bond and have them support other allies, their Support Rank will be reset. Allies who support each other will gain different stat increases depending on their Support Rank and their distance from each other on the map. Ideally, you should choose two allies who use weapons with different ranges. 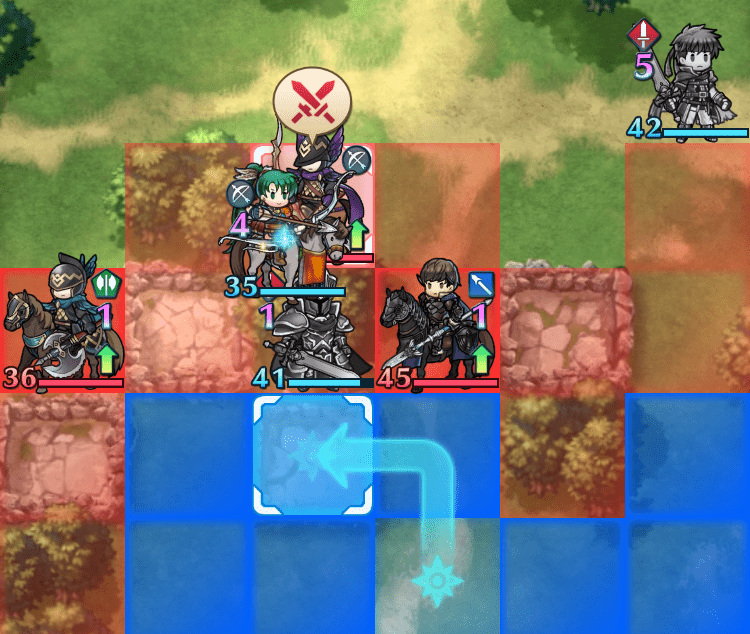 Having one ally serve as the shield for another who attacks at long range is a good strategy to aim for. Of course, it’s also fun to create Ally Support bonds between your favorite Heroes, or to create bonds in line with support relationships from the original games!